Buying all United States Coins, Collections, Individual Rare Coins, Currency and Precious Metals. Whether you have a lifetime collection or just a hoard of Silver coins, please think of us when the time comes to sell. If you have just a handfull of loose coins, perhaps it doesn't matter where you take your coins. On the other hand, if your holdings are significant, you really need to deal with someone who has considerable experience in the business in order to realize fair market prices. national teletype service as a resource for buying and selling rare coins, us currency and precious metals in a major market venue. confidential personal counseling to maximize your potential return from the sale of your collection. appraisals, acquisitions and sales of individual rare coins, gold coins, silver coins, currency collections, estates and bullion holdings. With over thirty years of Numismatic business experience, we are positioned within the rare coin industry to provide a wide variety of service to the numismatic community. Our standards for excellence and industry reputation make us uniquely qualified to address your needs, whether buying or selling. We work closely with the Legal Profession and the Banking Industry to provide appraisal and liquidation services of rare coins and precious metals. This same service is available to individuals with major collections. 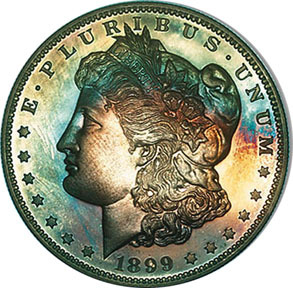 Written appraisals can be furnished for insurance purposes, and when needed, we can submit your rare coins for grading and certification to the grading service of your choice. For significant holdings, we are available to travel for the purpose of buying or conducting appraisals. Should you wish to know more about our credentials, you are invited to click on the "About US" link at the bottom of this page. Please feel free to browse our site, and contact us if we may be of assistance in any way. If you have material for sale, we would love to hear from you. 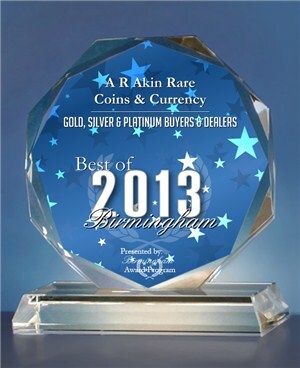 Copyright © 2008, A. R. Akin Rare Coins & Currency. All Rights Reserved. Unauthorized duplication is expressly prohibited.